Sorry for the late Voice of the Week, here it comes! I heard Royals on the radio, like everyone else on the planet who has been anywhere near a radio station. 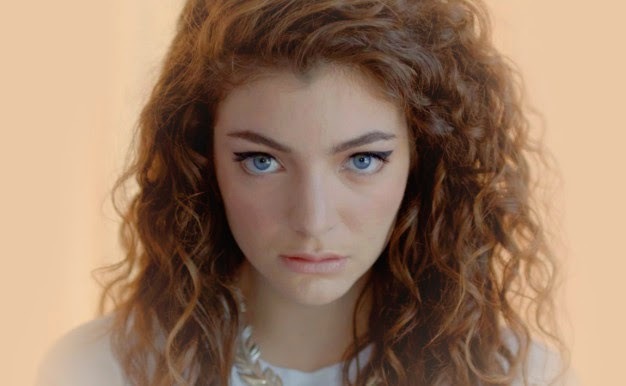 Listening to Lorde was a surprising experience in many ways. First and foremost, there aren't a whole lot of teenage alto singers around who can sing with her confidence. Secondly, I really like the backgrounds, because they are simple enough to highlight her unique voice, but yet there's always an element of interest too. Thirdly, I'm truly amazed that she's a teenaged, female singer (and songwriter) who does not fill up her first album with unintentionally melodramatic break-up songs. Instead, her lyrics are very intriguing and not at all straightforward. But despite all this praise I'm giving, Lorde will probably not rank on my very top favourite artists. She has a couple of songs that really "click" with me, but mostly I would listen to her just as nice background music because, again, there is some musical chemistry issue here that doesn't trigger a total "wow!" reaction from me. However, I'm absolutely giving her the thumbs up for doing something completely different than what the music industry seems to think young women should be doing, and for getting to an incredibly mature start with her first album. I'm not in any particular mood but don't want to sit around in a quiet house. I love her voice, but the songs have somehow a wrong beat to what I like - maybe I should listen to more of her songs to find one I like, she has such a pretty voice!